Do you like baseball, moneymakers, and advanced math? For March 4th and 5th, Boston was the place to be, as MIT's business school hosted their annual sporting shindig, the Sloan Sports Analytics Conference (SSAC for short). What started in 2007 as a small collection of panels for hard-core number-crunchers ballooned this year to 1500 attendees and 2 full days, keynoted by author Malcolm Gladwell. SSAC attracts a wide spectrum of folks, from fan bloggers to top sports franchise executives. (New England Patriots, Dallas Cowboys, Dallas Mavericks, Boston Red Sox, and English Premiere League soccer, to name just a few.) Organizers stream it live to the Internet and plenty of reporters attend each panel, but discussions still feel candid and offer direct advice to the conference's significant following of MBAs and amateur researchers hoping to break into the sports business. Some consider Gladwell's writing a strike against good analytics, since he often combines factors that hold a tenuous relationship to each other, instead of solid case studies. I think Malcolm moderated the kickoff panel deftly, as a mix of sports folks discussed the theory that mastering a skill requires 10,000+ hours of dedicated practice. His takeaway quote: "A lot of what we call talent is the desire to practice." I also gave away a bunch of baseball cards at the conference, mostly to the researchers and small businesses looking for an industry toehold. One big hat-tip to Carl Crawford Cards, who sent me this signed 1950 Bowman Virgil Trucks in 2009--that card's now in the hands of esteemed baseball writer Rob Neyer. ADDENDUM: I enjoy giving away cards as a gesture of support to other baseball fans, collectors, and writers. Trucks turned up in Neyer's Big Book of Baseball Legends and Rob also mentioned his remarkable 1952 season in a column, wherein Virgil went 5-19 but hurled a pair of no-hitters; find that recollection at CBS Interactive. My 1950 Bowman card felt like a good match and Rob looked happy to have it (compared to, say, Yuniesky Betancourt). 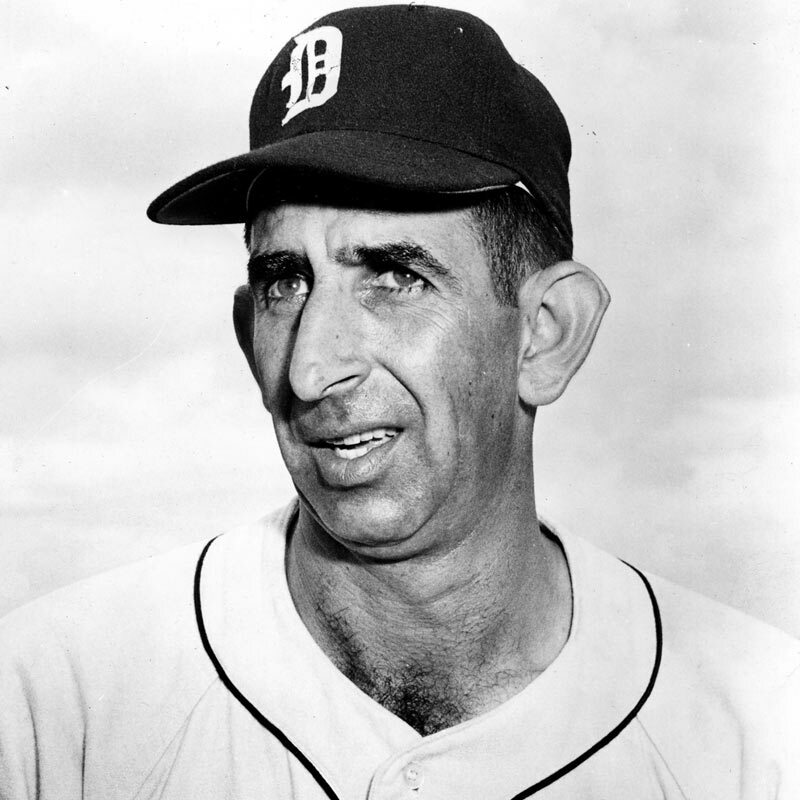 He joked it'd join a "burgeoning Tigers collection," alongside a signed Hank Greenberg picture gifted not long before. That's great to hear--but what Detroit tribute would be complete without Don Mossi? "Just flew back from Boston--and boy are my ears tired." Whoa---that's pretty cool. Why were you giving the cards away? Good question and just updated my post with an answer. Short story, I'm always on the lookout to help others with collections or find good matches for specific folks. People at the Sloan conference receive fistfuls of business cards from sports industry hopefuls, so I thought real baseball cards would be a nice surprise. So what were you doing at the conference? Went as a fan, primarily! It's a great chance to hear people close to the business speak and meet them face-to-face. Many attendees do it for the shot at a small number of sports industry jobs, though it's a very tough nut to crack. In my opinion, you're better off writing or researching as a small-timer and getting something readable on the web.